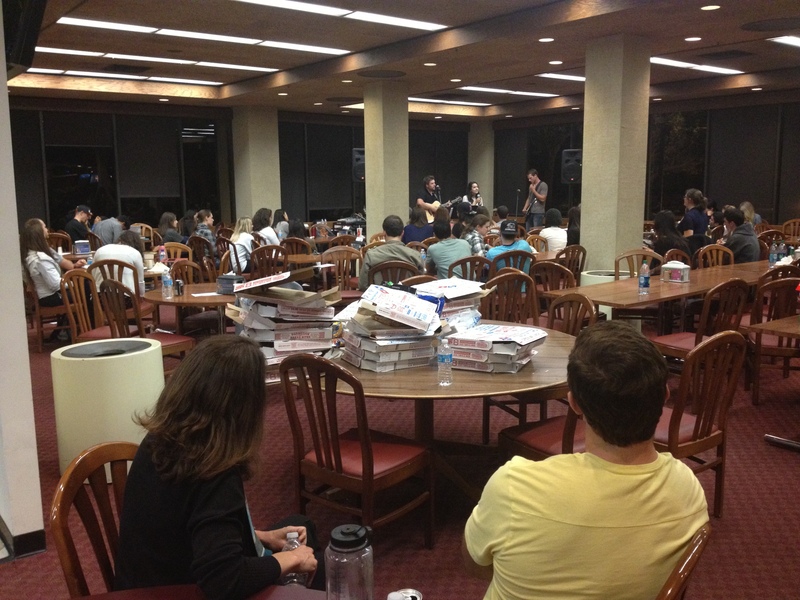 Last night, the 4th Annual Open Mic Night took place in the law school cafeteria. We had the most acts ever, and it was great fun to see these super-talented law students showcase talents other than legal analysis! The night was filled with a great variety of musical acts and some fun stand-up comedy. Two of our fantastic 3Ls, Elliott Dionisio and Mahru Madjidi, did a fantastic job of assembling and hosting the event that raised funds for our Advocates for Public Interest Law organization to fund students doing public interest work this summer. 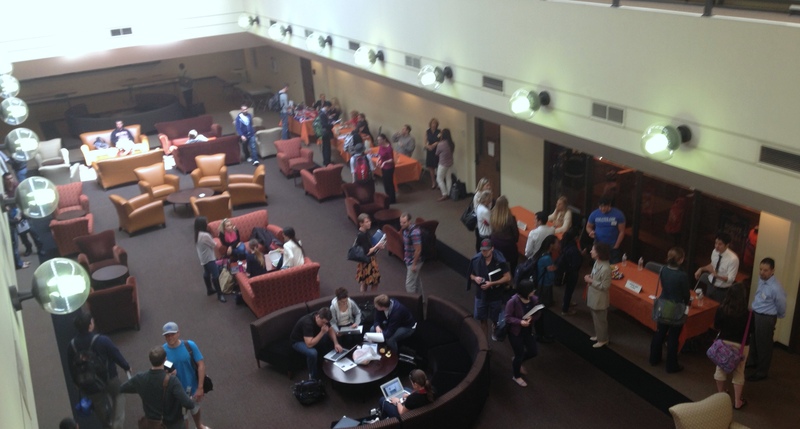 Yesterday marked the beginning of our inaugural Academic Advising Week for 1Ls. 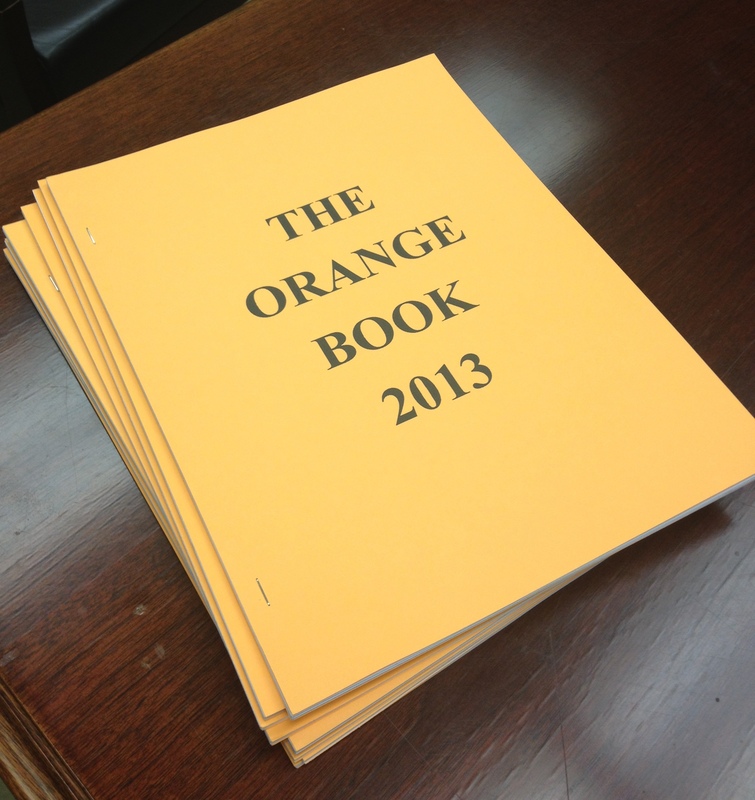 The entire 1L class assembled at lunchtime, and Dean Cupp and I had the opportunity of reviewing “The Orange Book” with the students. Last spring, Director Carlton Oliver and I had the opportunity to travel to Santa Clara Law to meet with the student life offices of the various California law schools. Our friends at Santa Clara shared their “Pink Book” with us, which is their version of an academic advising booklet. The booklet simply combines the vast array of important information on graduation requirements, registration procedures, bar exam information, law school programs, and possible career pathways in one place so that students can more effectively map out their upper division years. I loved it! We began collecting information last summer for our own academic advising booklet (we chose orange in honor of Pepperdine’s school colors — blue and orange!). It was a lengthy process, but it was exciting to be able to share the booklet with the 1L class yesterday. Friday is our Career Pathway Networking Fair. 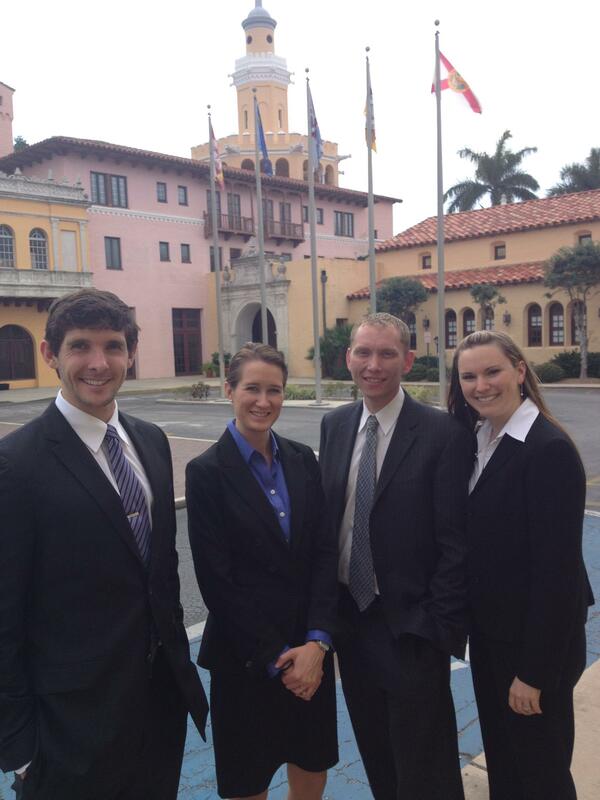 Austin Ward and Stephanie Althoff, two of our fantastic students (pictured on the left above), won the Stetson International Environmental Law Moot Court Competition International Finals last weekend. They won the national tournament and earned the honor of representing the United States in the competition. Austin and Stephanie defeated a team from Ireland to win the championship. Austin was named Best Advocate in the Final Round. We are so proud of these students! One of the 1L rites of passage is defending an appellate brief by oral argument in front of a panel of judges. For this year’s class, this happens tomorrow. The first year of law school primarily emphasizes performing legal analysis through the skills of reading and writing, although the Socratic teaching method does from time to time present students with the opportunity to employ the power of the spoken word. Defending the appellate brief by oral argument is the only time that 1L students are all asked to employ oral advocacy skills on the same day. The novelty of this seems daunting to many. The popular perception of a lawyer involves making oral arguments in a courtroom, but the reality is that most lawyers work in contexts far from a courtroom. In fact, many lawyers never see the inside of a courtroom in practice. I found it surprising that a large group of law students are terrified of public speaking. Given my previous statement, this is ultimately not problematic, but it does make this particular 1L rite of passage a stressful time for many students. Still, I love this project. I remember attending a panel discussion during my first year of law school, and one of the panelists encouraged all students to sign up for a “trial advocacy” class at some point during law school. She said what I wrote earlier — that lots of attorneys never step foot in a courtroom — but she argued that it would be a shame to go to law school and not know what to do in a courtroom! I remember thinking that to be sage advice. So I am excited about tomorrow. Every 1L student will stand and argue before a panel of judges. If nothing else, that just seems like law school to me! The Straus Institute is widely considered the world’s leading institution in the field of Alternative Dispute Resolution. Recently, the Institute was ranked #1 by U.S. News for the ninth consecutive year. 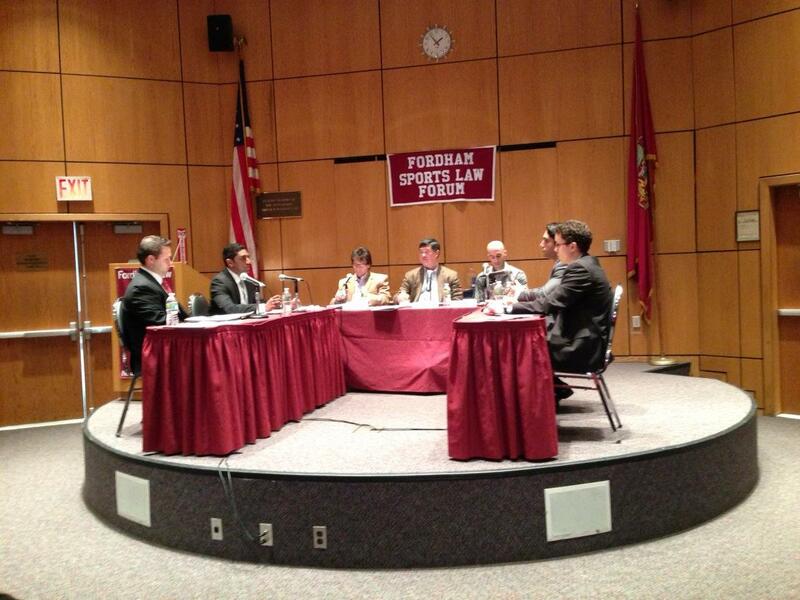 Pepperdine Law students Daniel Boysen and Eli Melamed (pictured above on the right) advanced to the Final Championship Round at the National Basketball Negotiation Competition at Fordham Law School’s Sports Law Forum in New York City, March 16-17, 2013. 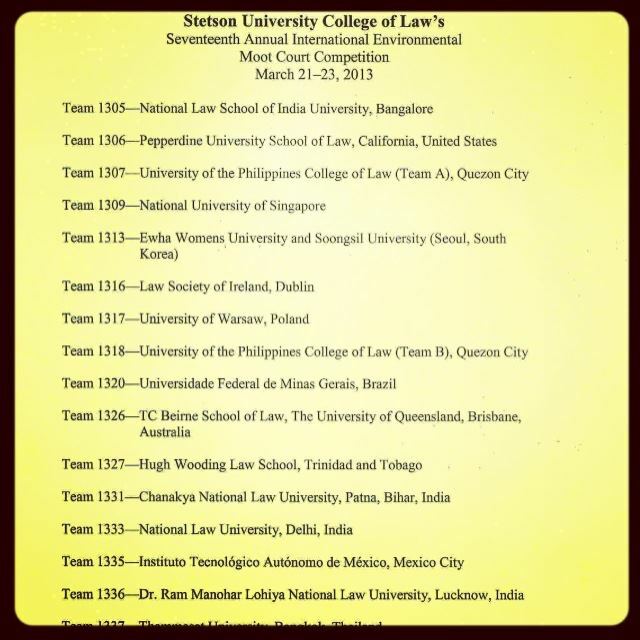 Students from fourteen law schools across the country competed in this competition where students play the role of attorney teams representing NBA team owners, player agents, and corporate sponsors in negotiations involving player-team trades, player endorsements, corporate sponsorship deals with teams, and intra-league negotiations re-examining the NBA draft system. Accompanied by coach/advisor Professor Maureen Weston, Dan and Eli negotiated in five rounds – the final round judges included Second Circuit Court of Appeals Judge Denny Chin and sports agent Jeff Guervitz. Other competition judges included the agent for Carmelo Anthony. Yesterday morning, his 1L students made Contracts fun, too. The story goes that Professor Anderson used a personal example in class recently about a time when, as a child, he committed his family to purchase a Star Wars R2D2 cake for $100 without his parents’ permission. He used this example to teach contract formation, while presenting it in fun as childhood trauma that he has yet to overcome. 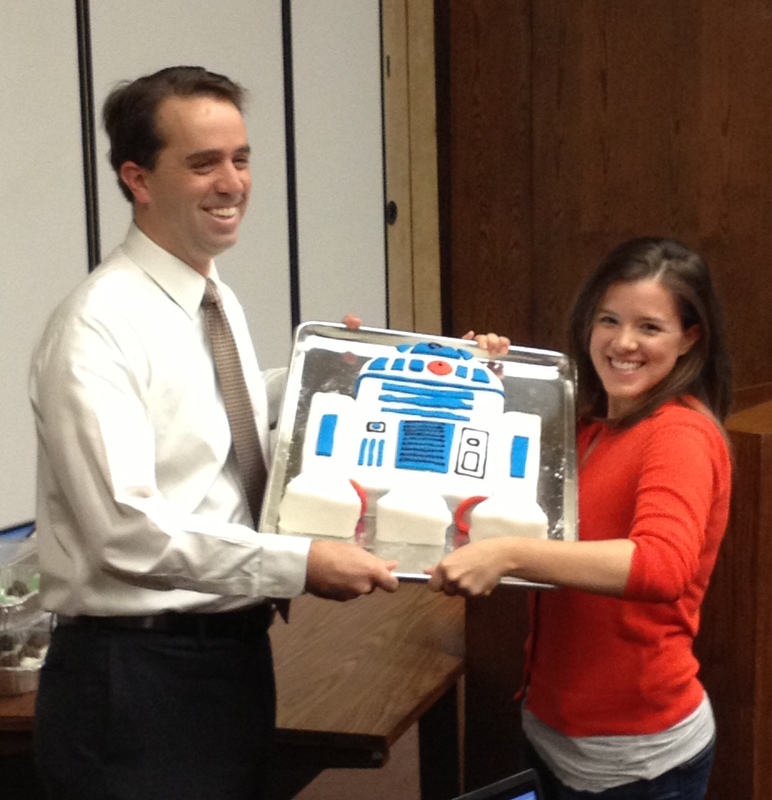 So his class thought it would be fun to surprise him with an R2D2 cake — for therapy, of course! Leslie Ballinger, a master baker, was tasked with the project, and fellow student, Corey Smith, volunteered to be the sous chef! Again, I love the Pepperdine Law community. It is a place where great teachers are also great human beings, and these great people provide a first-class legal education in an environment where a class would go out of its way to make a professor smile in return. A couple of weeks ago, Dean Tacha joined her longtime friend, Justice Sandra Day O’Connor, for a fireside chat at the Civic Learning California Summit in Sacramento. You can read a short article about the conversation between these two important judicial figures HERE.